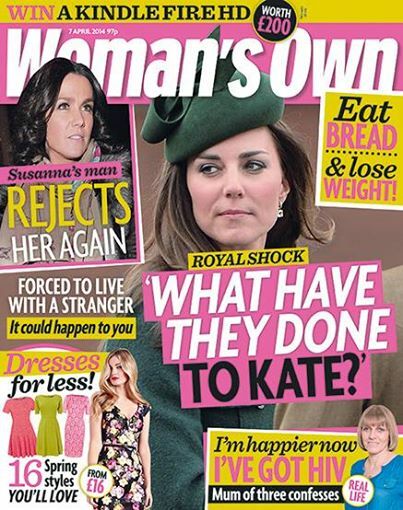 Kate Middleton under fire, Richard & Judy and Katie Price – all in this week’s Woman’s Own! This week Kate Middleton comes under fire, what it’s really like to live with Katie Price and we chat exclusively to Richard and Judy. All this plus we meet the woman who says she’s happier now she has HIV, dresses to impress from just £16, how to spring clean your skin and your chance to win a Kindle Fire HD worth £200! Plus you can download Woman’s Own every week on your tablet, Kindle Fire or iPad device for just 99p! Click here for more.